LONDON (CelebrityAccess MediaWIre) — Essential Music & Marketing Managing Director Mike Chadwick took issue with comments made by Lucian Grainge during the congressional hearings over the Universal/EMI merger, claiming that Grainge used his quotes out of their context. Grainge's quotes were drawn from an extensive interview that Music Week magazine held with Mike Chadwick earlier in the year, to make the case that the merger would benefit the whole industry, while in reality, Chadwick had questioned that very premise. Chadwick, in the article, said that he found the concept of large conglomerates to be a "bit scary" and that he believed the conglomeration of market power would be a negative for the industry and independents. Subsequently, Chadwick released a statement addressing the mischaracterization, and we've included it in full below. Lucian Grainge's testimony to the Subcommitee on Antitrust, Competition Policy and Consumer Rights last week contained a selective quote from an expansive interview I gave Music Week magazine in the UK earlier this year. Mr Grainge suggested that I believed the proposed merger was a positive step for the business. In fact, my interview offered a view in which I questioned whether the merger would be good for the music business. 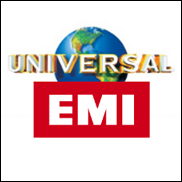 To clarify further, my company is a sales, distribution and services company and tends not to compete on label or artist signings with Universal or EMI, however I nevertheless believe that the concentration of market power that would result from the merger would be a negative step for the industry and for independents.